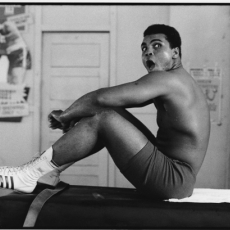 Muhammad Ali was one of the most photographed figures of the 20th century. Well known are the images of the braggart, the charmer, the ferocious fighter, however this exhibition of nine medium-scale photographs by Gordon Parks captures a softer side of the boxer – relaxed and introspective – further revealing Parks’ ability to connect with the people he photographed and the implicit trust between subject and photographer. 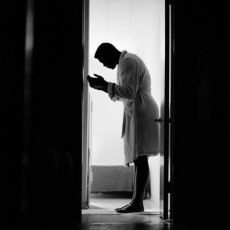 Parks was first sent to profile Ali in 1966 for the Life photo story “The Redemption of a Champion.” Shortly before, the boxer had changed his name from Cassius Marcellus Clay, Jr. after converting to the Muslim faith. Also at this time, he was garnering public scorn for his opposition to the Vietnam War and for resisting the draft. Despite differences of opinion and Parks’ initial ambivalence about the boxer, the two forged a friendship with Parks becoming somewhat of a father figure to the man. It is said that in these photographs Parks was able to capture the man that Ali was striving to become. 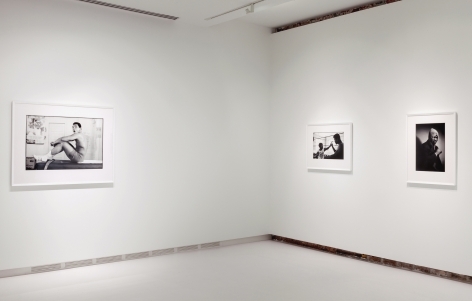 The images in the exhibition are from 1966 and 1970 where Parks photographed Ali in Miami, Florida and London, England. Gordon Parks is considered one of the most influential American photographers of the postwar years and was the first African-American to work as a staff photographer for Life magazine. He is best remembered for his photographic essays that chronicled the social and economic impact of racism. 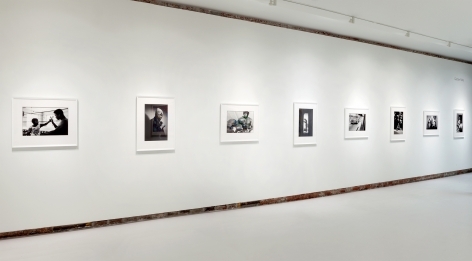 The Arthur Roger Gallery is pleased to present Ali, an exhibition of photographs by Gordon Parks. 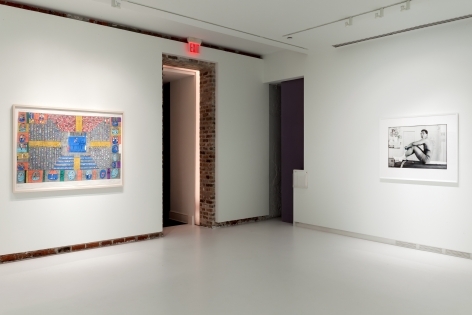 The exhibition will be on view at Arthur Roger@434, located at 434 Julia Street, from August 1 – September 19, 2015. The gallery will host an opening reception, Saturday, August 1 from 6-9 pm in conjunction with White Linen Night. Gordon Parks was born in Kansas in 1912 and later raised in St. Paul, Minnesota. He bought a camera at a young age and taught himself how to use it, eventually leading to a position with the Farm Security Administration (F.S.A.). Following its closure in 1943, he worked as a freelance photographer prior to joining Life Magazine where he remained for two decades. He held over fifty honorary doctorates, was a celebrated composer, author, and filmmaker, and the recipient of the 1988 National Medal of Arts. Gordon Parks died in 2006 at the age of 93. 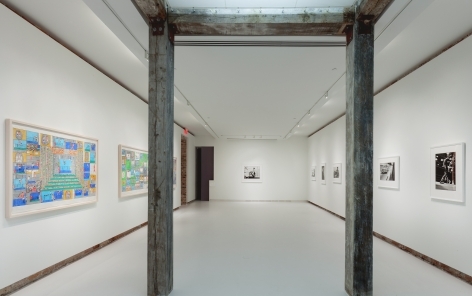 "Review: Now on view at Arthur Roger Gallery"
"Exhibit | Gordon Parks: Ali"